“Like looking through a window into beautiful inner landscapes…” That was just one of the reactions SEVEN’s first Leigh Art Trail show inspired. So, five months after the SEVEN collective formed, at table seven of The Railway Hotel, we had arrived. We were number three (Planet Leasing) in the 20th Leigh Art Trail. To be honest, we weren’t sure what to expect. Just how Leigh Art Trailers would react to sketchbooks as artwork was uncharted territory – plus, we were the first collective to show on the Trail. Our journey, as some may know, started at Heidi Wigmore’s Creative Journal courses held at Chalkwell Park’s Metal. 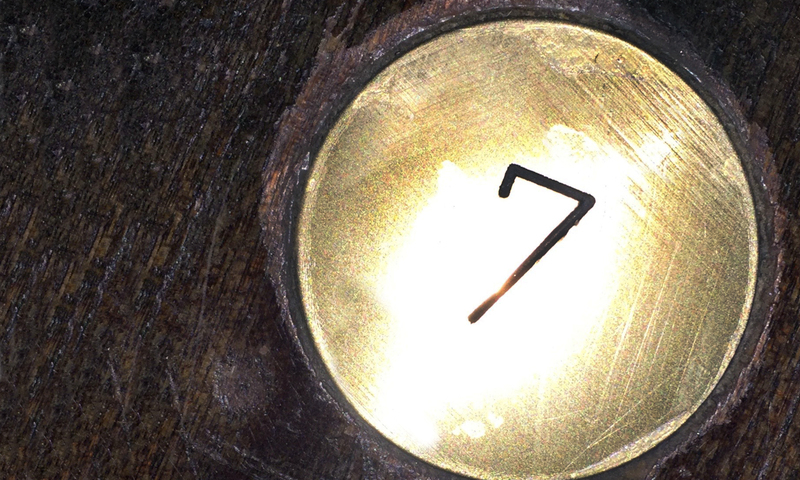 SEVEN took that premise – using tried and tested artistic techniques (or processes) to kick start creative exploration – and plumbed its potential depths. Fortunately Heidi attended our late night showing and told us she was “…blown away…” by what we’d achieved. Phew! Our LAT odyssey started with the sea – it is Leigh-on-Sea after all. This loose theme, a connective thread if you will, ebbed and flowed throughout the sketchbooks. From there, we’d come together to share in the processes and explore them individually (get the techniques we used here). The results? Often unexpected. Always wildly different. Once finished the journals were presented on a special table – trestle legs supplied by Metal – and held in place with striped ribbon, ready for public perusing. People were invited to turn and touch the pages. We encouraged questions. Kids could have a go in our community sketchbook. Many were drawn to a particular book or technique. Others were hurriedly box-ticking their way round the Trail. And a few left befuddled. We thoroughly enjoyed our #LAT2017 experience. 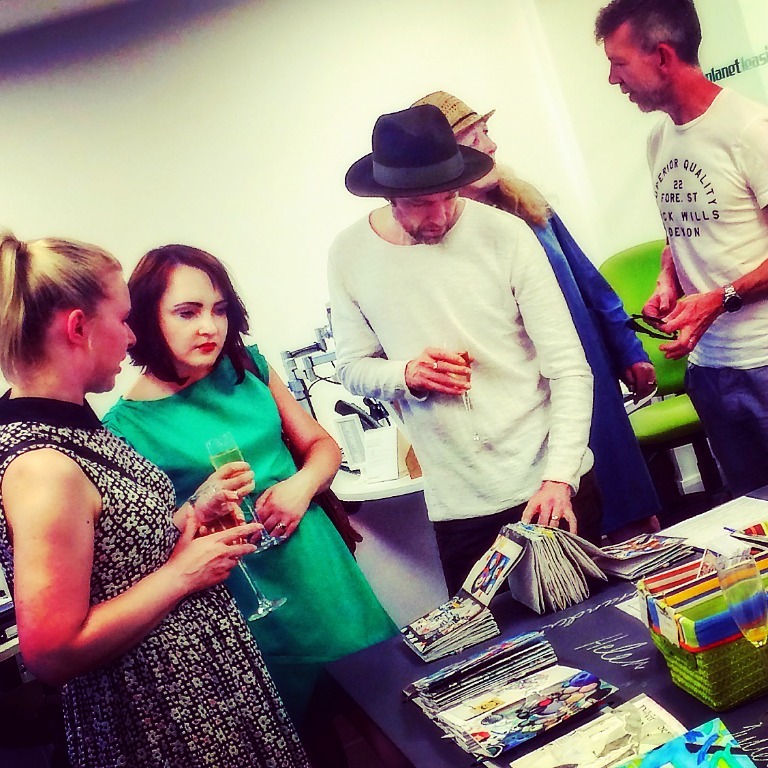 Thank you to everyone who came to see our sketchbooks, we loved having the opportunity to share our work with you. Remember to check out our latest art work and follow our creative adventures over on Instagram. You can also sign up to our mailing list to keep in the SEVEN loop. We’re not sure what’s happening next, but we’ll let you know when we do! 7 Ways to Kickstart Your Creativity – the methods SEVEN artists love + worksheets! If you’ve ever stared at a blank page and wondered where creative types get their ideas from then you’re not alone – the SEVEN collective have too! The really good ideas, he said, came once he got started. Easy for him to say, right? Just ‘begin’! Blah! But there are ways and means to get beginning. Techniques used by creatives – from the Surrealists to David Bowie – to bypass doubt. Simple exercises which propel the blank, blocked or bewildered mind into creative exploration. Now, we can’t claim to have got the idea of meeting up, using tried and tested artistic techniques as creative launchpads, and sharing the results in a supportive environment. Nope, that was down to artist Heidi Wigmore who held a series of Creative Journal workshops at the wonderful Metal Art School in Chalkwell Park, near Leigh-on-Sea, Essex. There, we found the permission to ‘just have a go’ without judgement or criticism. For some of us our journals, or sketchbooks, were an adjunct to an already established art practice. For others the workshops marked a return to self expression left unexplored since art college or even school. But it worked for all of us. 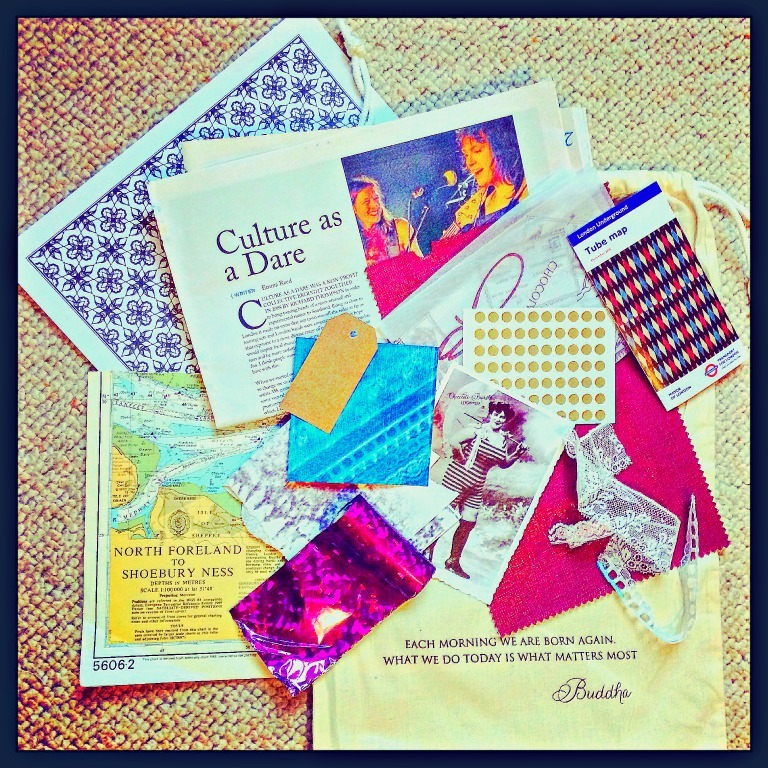 So much so, some felt compelled to continue – et voila, the SEVEN collective was born! To make our first collaborative project – exhibiting at Leigh Art Trail 2017 – easy peasy each SEVEN artist chose their favourite ‘process’ from the many we had tried and tested with Heidi. Love drawing? – how about one minute sketches? Or ‘blind’ drawing?! Think you can’t draw for toffee? – perhaps tracing and layering random images or using stencils could be for you? Want to start somewhere else entirely? – try a word soup (aka Dada poetry) or make threads of thought. Or maybe use a good old map to get the juices flowing. Our fave creative processes are listed here. Each SEVEN collective member created a worksheet which details how it works and why they love it. PS We’d love to see what you create. If you feel inclined to, please share the results with us using #sevenartistsuk on Instagram or Twitter. PPS These worksheets are for you to download for your personal use and are not meant for public reproduction. "Collaborating with a group of highly innovative artists has been a deeply rewarding experience. Being given the same starting point, materials or objects then allowing the materials to guide in an intuitive way, the process slowly revealing something unexpected, then sharing our individual work as a group provides a fantastic stimulus to creativity."